Eggplant is one of those classic Italian vegetables. Think of Eggplant Parmigiana. So Italian, right? 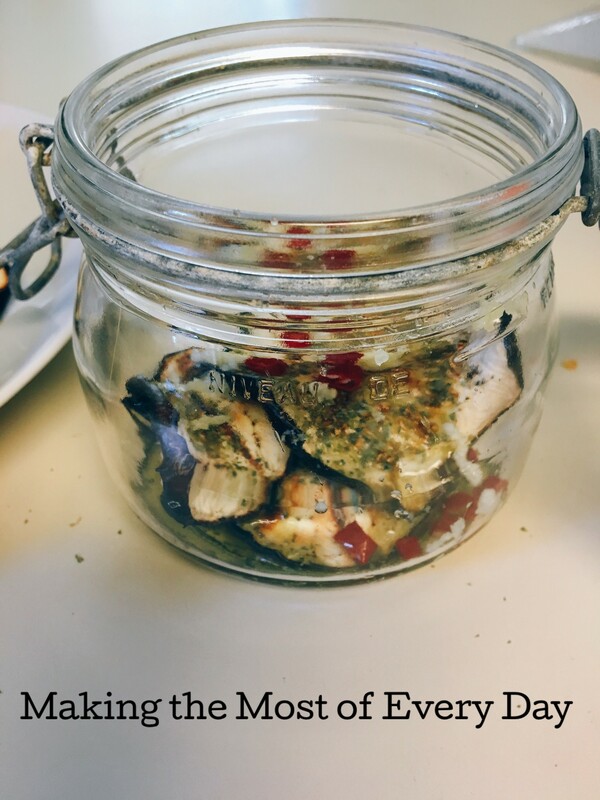 Sicilian cooking uses this veggie a lot and one of my favorite ways of eating it is marinated grilled eggplant. It’s an easy recipe but it does take a little bit of time because you need to salt the slices in order to draw out the bitter liquid. Then you need to grill it. Both of those things just take time; there are no shortcuts. It’s not difficult, but it’s just not a quick fix. Like yesterday’s Spicy Carrots, this is a great make-ahead recipe because the longer it sits, the more flavorful it gets. 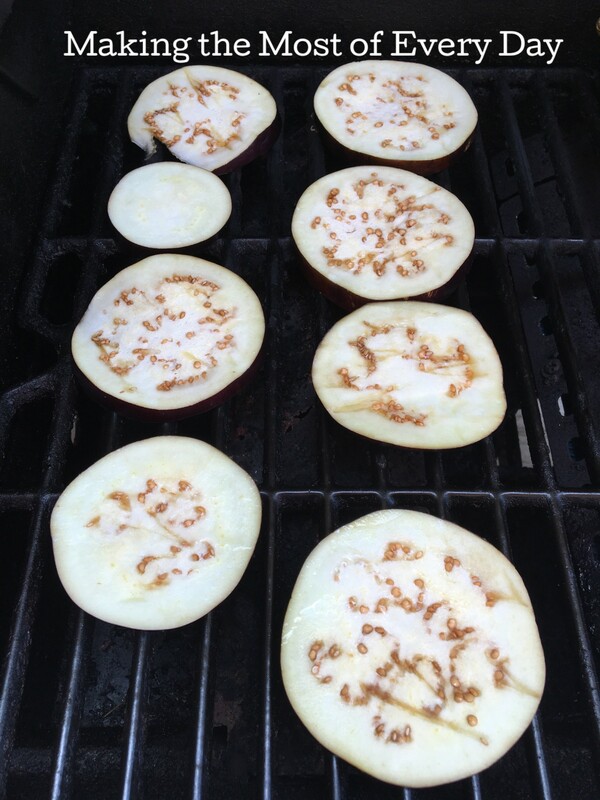 Slice the eggplant into rounds, not too thin, salting each piece and letting it sit for about 30 mins. The bitter water will draw out.Once the liquid rises to the top, rinse the rounds and place on a hot grill. Watch the pieces as they can quickly burn. Grill on both sides then remove from heat. Layer slices with chopped garlic, a sprinkle of salt, one of origano and a few shakes of crushed red pepper and a thin stream of olive oil in a large mouth jar. Repeat until all slices are added. Top with a final layer of oil. Let stand several hours or overnight. The longer it sits, the more flavorful it will be. Do you like this purple vegetable? I really do but my husband does not. He has a weird condition where his tongue and mouth burn when he eats it. My kids don’t eat it either so I either wait for my mom to make it or I’ll make a small amount just for me. 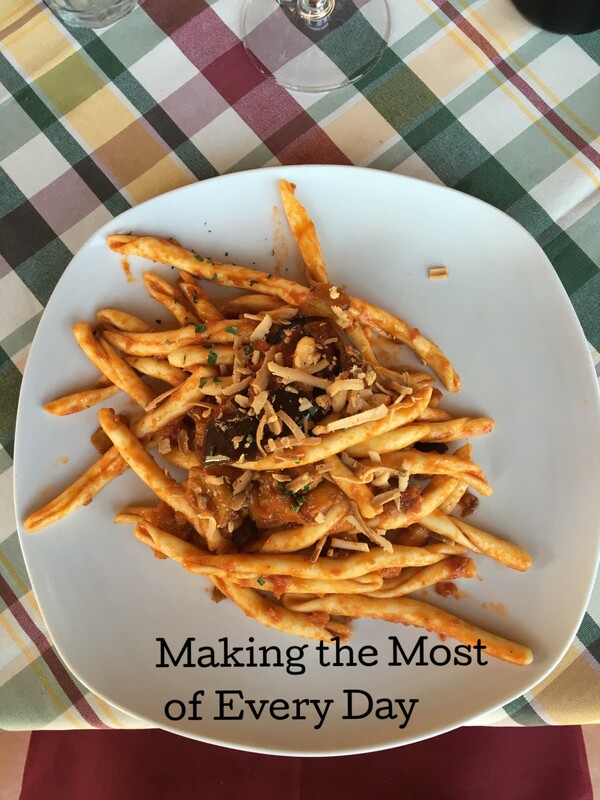 Probably my all-time favorite eggplant recipe is melanzana a funghetto (mushroom-style). It’s cut into little cubes, deep fried, then mixed with a light tomato sauce. It’s delicious!! 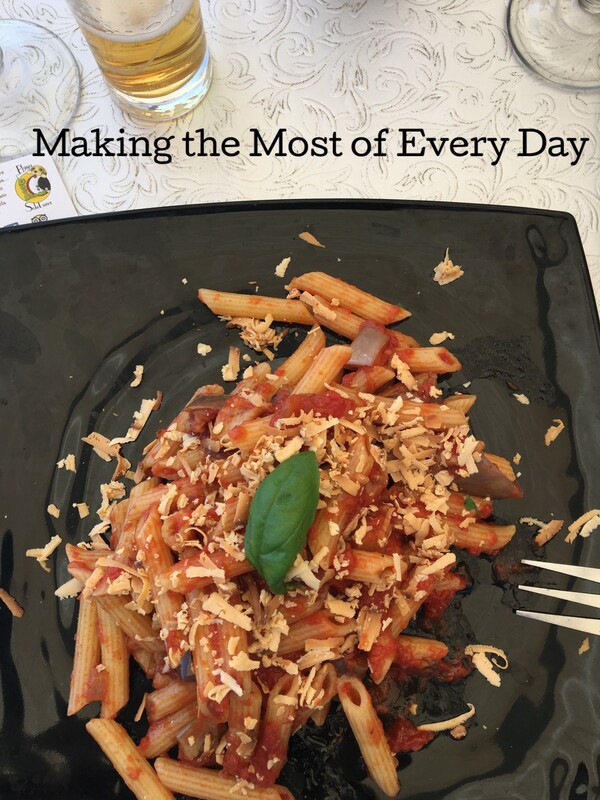 Technically it’s a side dish but it’s very similar to a pasta sauce that is famous in Catania, Sicily called Pasta alla Norma. I ate it just about every other day on my trip this summer. You could easily mix this dish with pasta and call it Norma. See? I tell ya, I ate it a LOT! Here’s your pinnable image so you can try making itt! I love eggplant and this sounds delicious!